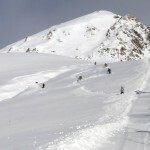 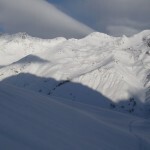 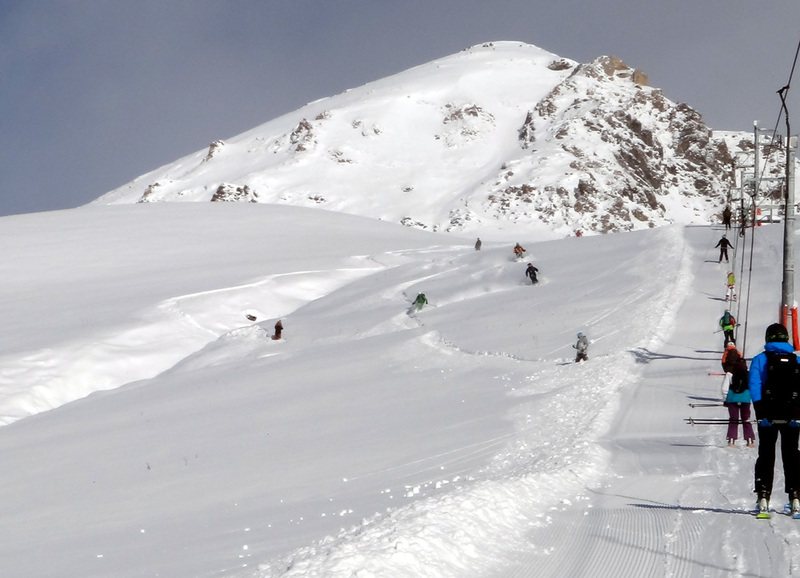 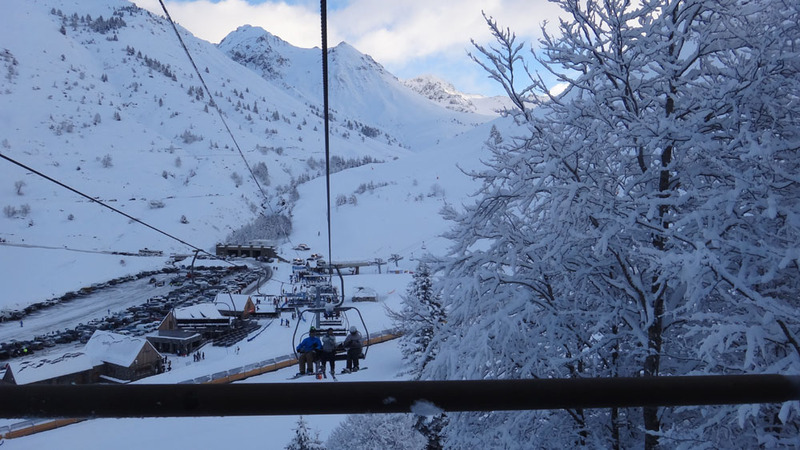 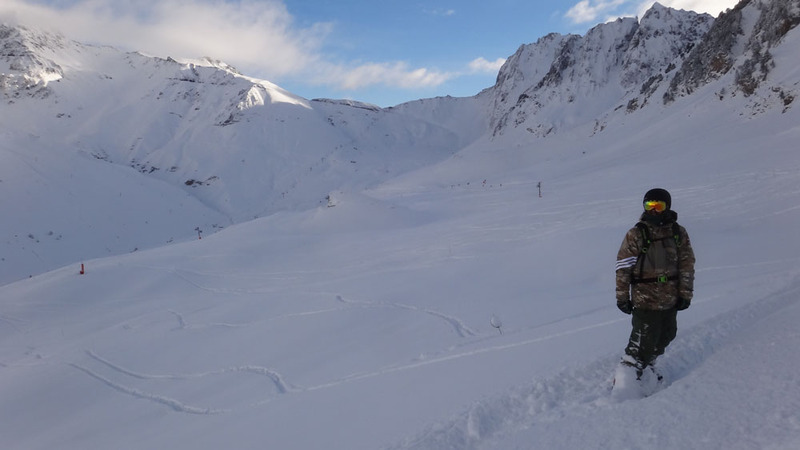 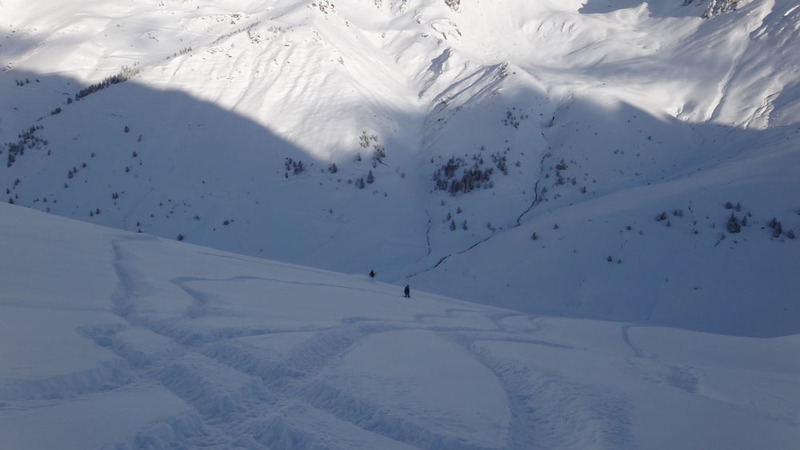 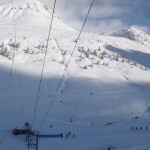 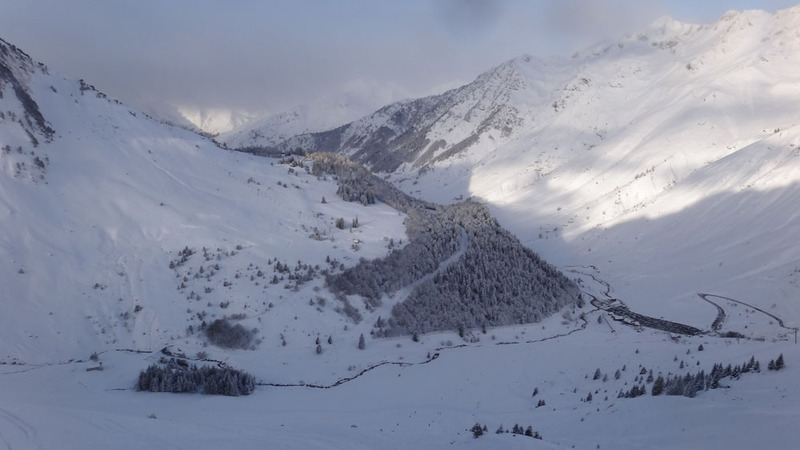 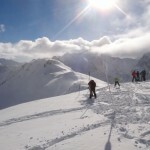 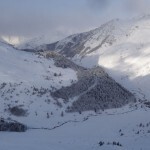 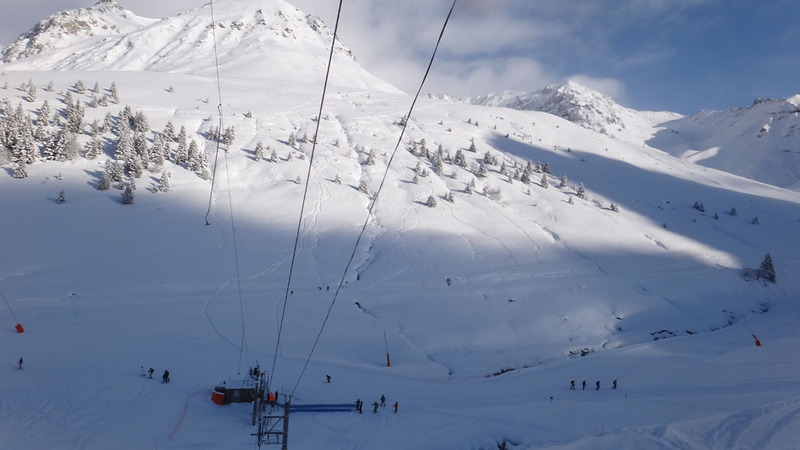 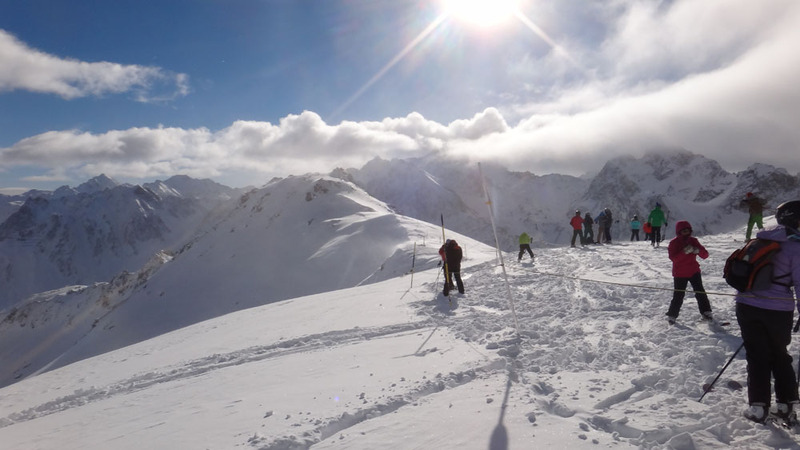 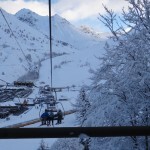 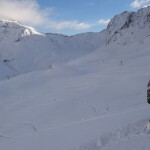 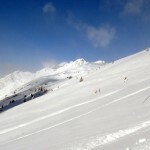 We had another fall of around 35cm of fresh snow last night here in the Grand Tourmalet ski resort (also known as Bareges La Mongie), followed by a blue bird day . 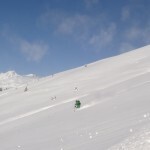 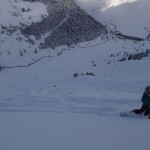 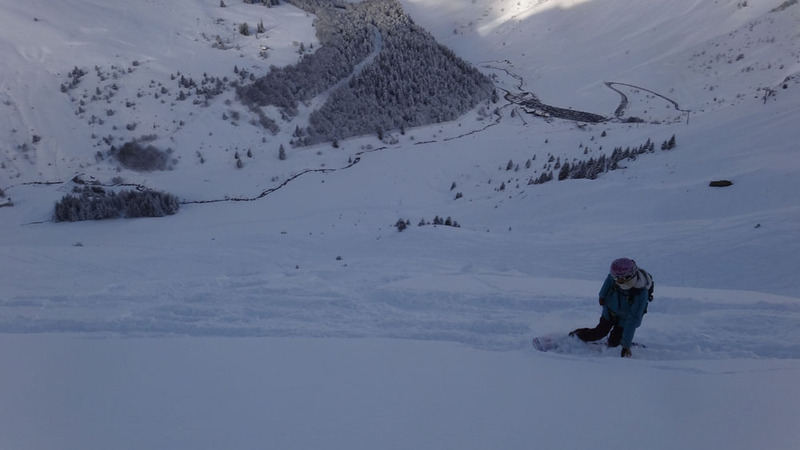 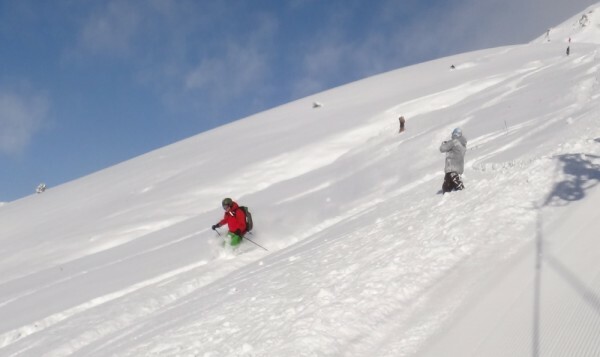 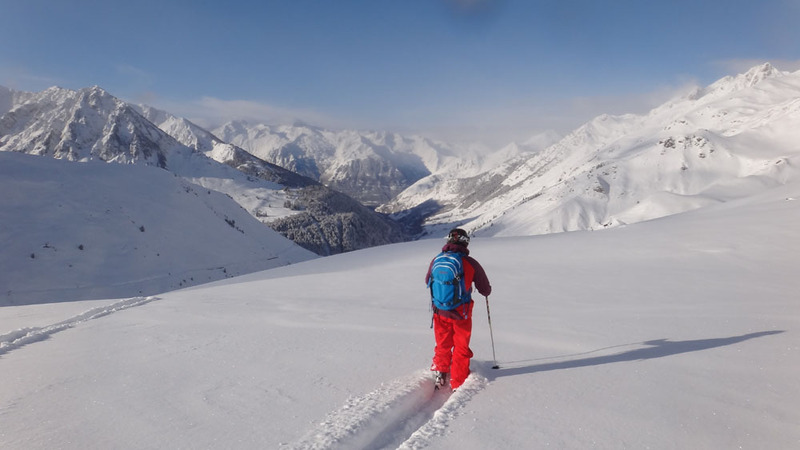 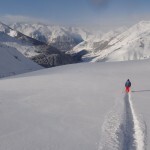 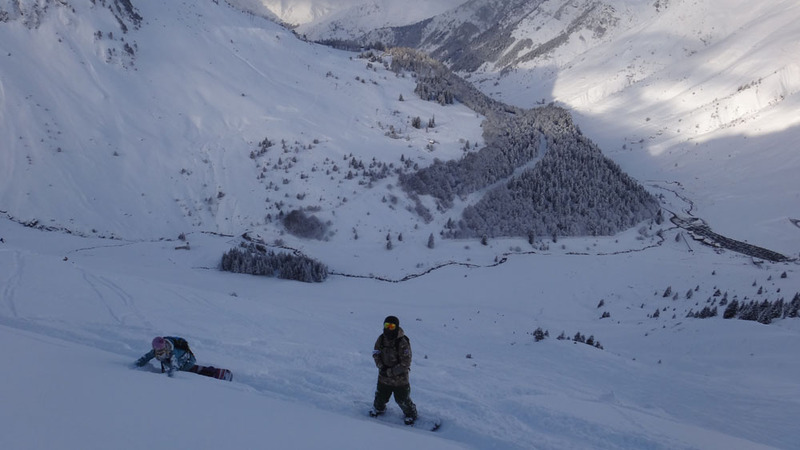 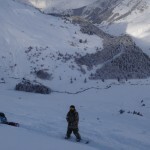 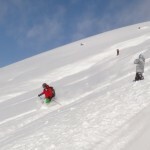 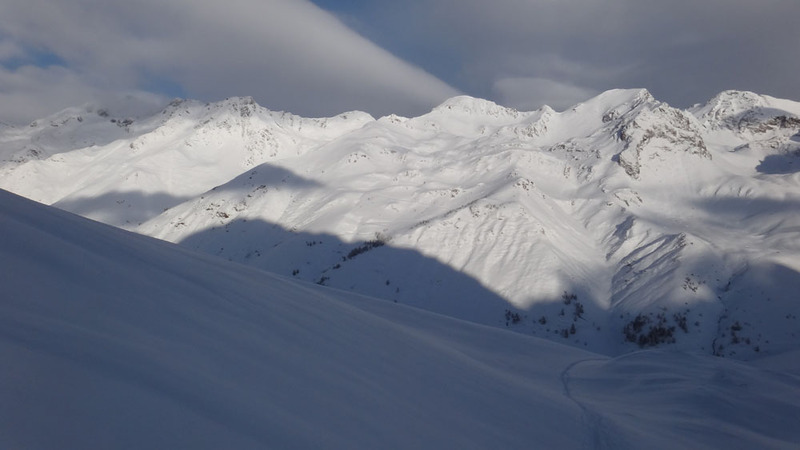 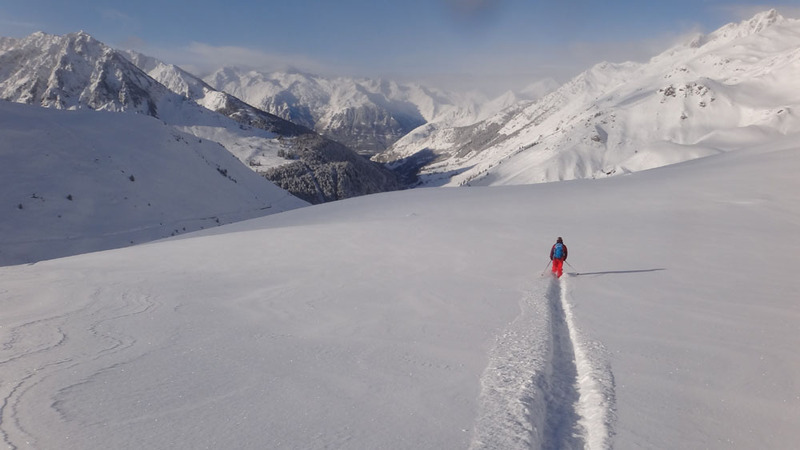 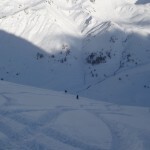 Amazing skiing and boarding conditions again on and off the piste in the French Pyrenees where we have not been blighted by lack of snow as they have in the Alps this season. 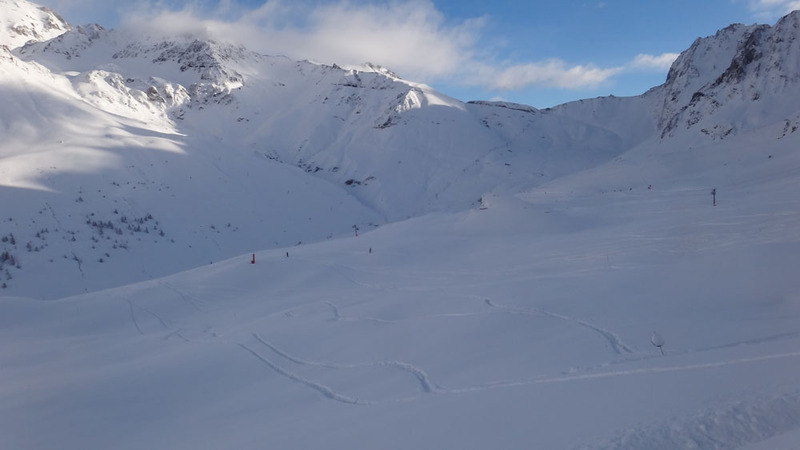 More snow showers and cold temperatures are forecast for the next 10 days! 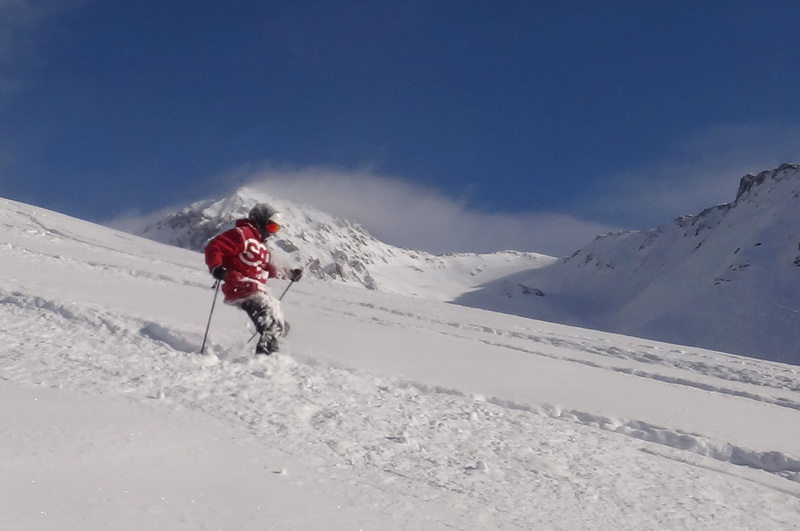 Continue to read below for some pictures from this morning taken while racing for the Powder and untracked lines in the ski resort. 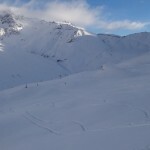 Looking down the new black run to Bareges,. 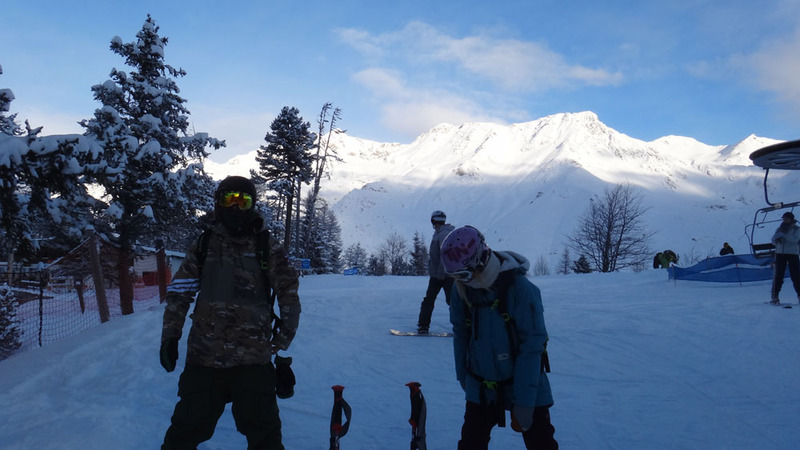 Wania and Stewart our ski chalet hosts.